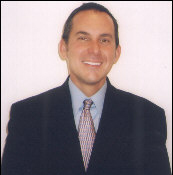 Dentist Dr. Christopher Bart, DMD is a 1989 graduate of the University of Pittsburgh School of Dental Medicine. After dental school he completed two residencies, one in general practice at Western Reserve Care System in Youngstown, OH and the second in anesthesia at Metro Health Medical Center in Cleveland, OH. Dr. Bart is on the active staff at Forum Health & on the teaching staff for the dental residency program at Northside Hospital. He is currently a Board Member of The Corydon Palmer Dental Society, an advisor to The Choffin School of Dental Assisting and a past president of The Warren Dental Society.